Obtaining wild broodstock of the Cuban Basslet, Gramma dejongi, were the culmination of years of effort by Todd Gardner and the team behind this project. Gramma dejongi is one of those rare coral reef species that holds near-mythic status. 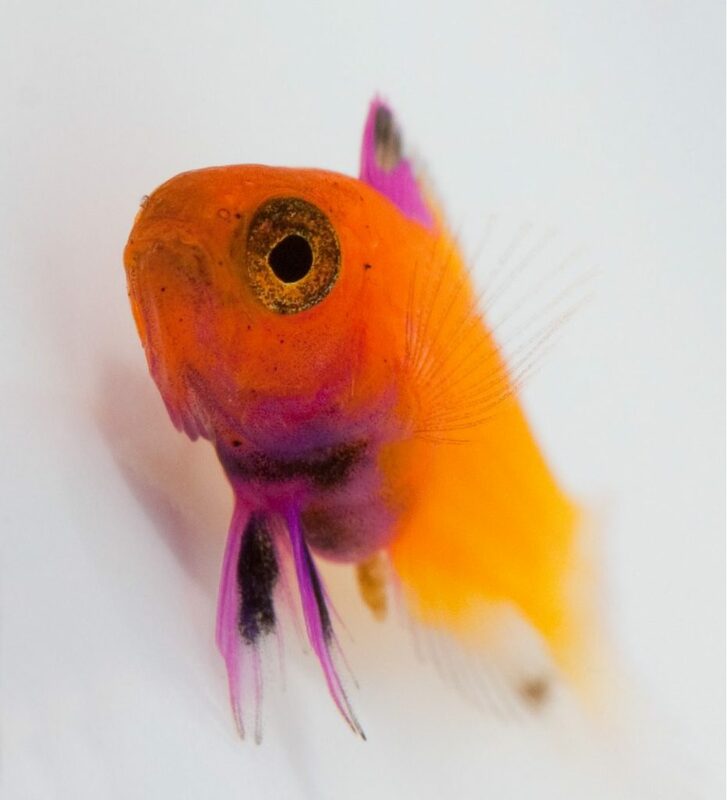 Only described in 2010, and hailing from Cuba, it’s a species that US-based aquarists have known only through a stream of videos and photos as multiple aquarium authors fawned over this coveted and forbidden beauty. The US trade embargo of Cuba has meant this species is squarely off-limits, although with a reported 4-figure price tag, one could argue it isn’t exactly an accessible species for aquarists in the rest of the world either. Veteran marine fish breeder Todd Gardner has worked for years in pursuit of breeding this Cuban Basslet. He’s partnered with Jared Goldenberg of Fluid Dynamics International and a confidential 3rd party; this partnership has been instrumental in the recent string of captive breeding successes that Gardner has racked up, including other noteworthy species firsts such as the Flathead Perch, Rainfordia opercularis. A world-reknowned marine fish breeder, Todd Gardner, relaxing outside of the lab. Image Credit: Ashleigh Gardner. Gardner works out of his Long Island based marine biology lab at Suffolk County Community College; this scenario requires a rather unique arrangement. Ultra-rare broodstock is donated to the lab with progeny rights; Gardner and the college are unable to sell what is produced in the lab, but the college students fortunate enough to take one of Gardner’s classes may be among the only people to ever work with the aquaculture of a species as rare as Gramma dejongi. 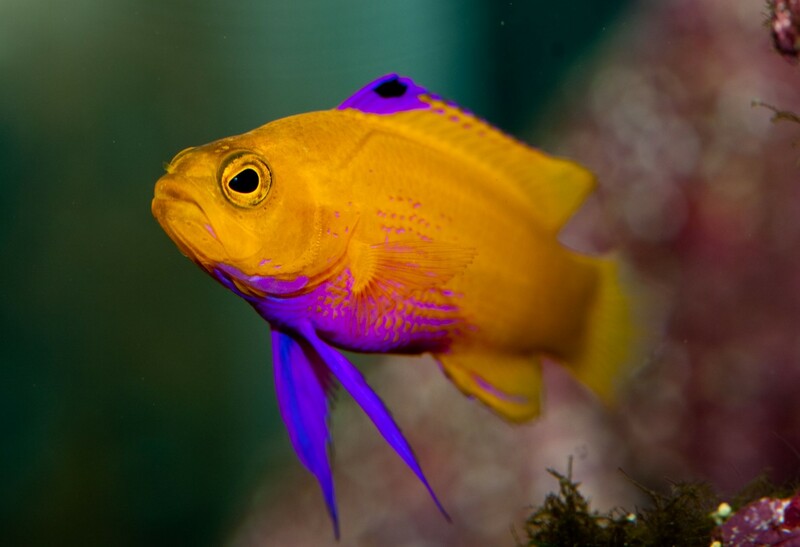 But approaching a breeding project for Gramma dejongi was different; here is a fish where related species like the Royal Gramma, G. loretto, already have well-known spawning and rearing protocols. Unless nature throws a curve-ball, the odds are good that a breeder that has an understanding of the sibling species has a good chance at being easily successful with the new species. The difficulty here lies squarely with the financial and legal implications of acquiring the fish in the first place. Goldenberg of Fluid Dynamics, tells CORAL that the team wanted to approach this situation with care. Indeed, it reportedly took four years to obtain the broodstock through the proper channels, and when the fish finally arrived in the US in 2016, Goldenberg and Gardner were ecstatic. For a brief moment in time, they were the only ones in the country aware that the species was even in the country, never-mind legally so. Goldenberg says that he had a hard time keeping the secret during the run up to the public release of their success. Once Gardner succeeded in breeding the fish (a worldwide first), the next step was to determine the legality of the progeny. This is where the lawyers got involved, as the team wanted to be above-board and ensure that they weren’t going to create yet another story that would paint the aquarium trade in a bad light. But in this regard, the US Treasury Department (which deals with issues relating to the Cuban embargo) responded with pleasing news. As Goldenberg paraphrased their response, it suggested that while the six adult broodstock fish are legally here only because they are covered under the existing permit, the offspring are of no concern. There are apparently no existing laws that cover the offspring, and through that lack of prohibition, the offspring are perfectly legal to distribute. 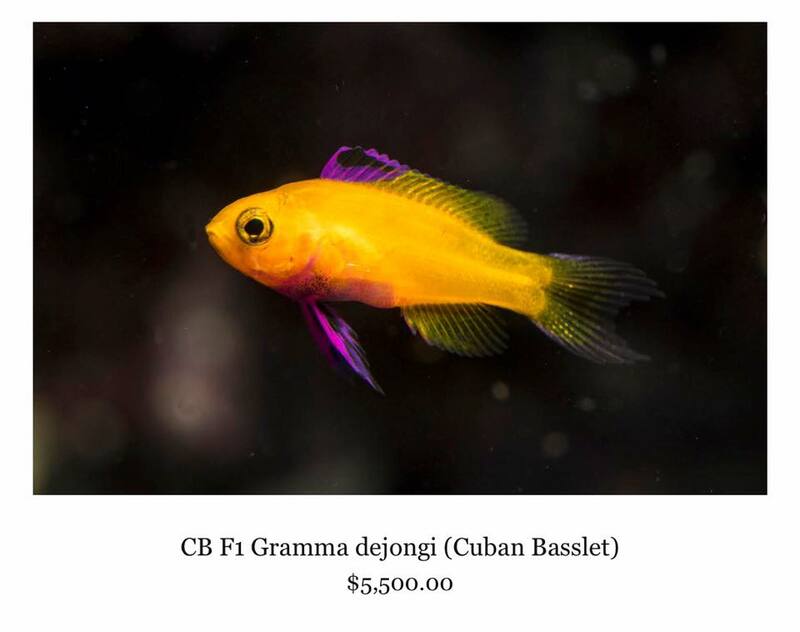 Goldenberg says that, with the Cuban trade embargo is still in place, these captive-bred offspring are therefore the only legally obtainable Gramma dejongi within the US. 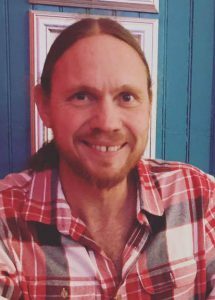 Garnder, when asked for his personal reflections on this latest accomplishment, replied, “I’m thrilled to have the opportunity to work with such incredible species. G. dejongi is my 55th species of marine fish reared, followed closely by the [Black Cap Basslet, Gramma melacara]: #56. Although Grammas are certainly raise-able, I think there’s a perception that they are easier than they actually are. I’ll be talking about the details of Gramma culture at the MBI Workshop in July. 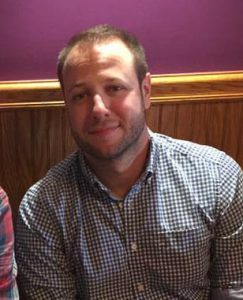 Jared Goldenberg, Fluid Dynamics International. Image credit: Stefi Erin. Goldenberg also mused about the delicate nature of projects like this and the ways that captive-bred basslets might affect the trade in the species. He acknowledged that, while making an off-limits species suddenly legally available might diminish the demand for a black-market alternative, this same legal availability may also unintentionally serve to help mask illicit trade in the species by other parties. Goldenberg’s company, Fluid Dynamics International, is the current source for these captive-bred basslets, but it isn’t exactly a household name. Later in our conversation, when asked about the unnamed third-party, Goldenberg tipped his cards a bit. “The Lightning [Maroon Clownfish] kicked it off…my [client], a big investor, wanted the rarest fish collection there is. We got the Lightning Maroons and then the question was, ‘well now what?’ We could breed them, and then the gears started turning…’how far can we actually go with this?’ That spawned further ideas, crazy ideas, but they’re actually viable. Aquaculture, even in general, just in foodfish, is in its infancy really. There’s a lot of technology to be made, a lot of advancements to be made, and from an investment standpoint, that’s interesting. For those with the money who’d like to buy into a piece of the good that can come from these efforts, the first captive-bred Gramma dejongi are slated to be available in about 2 weeks time for the asking price of $5,500. 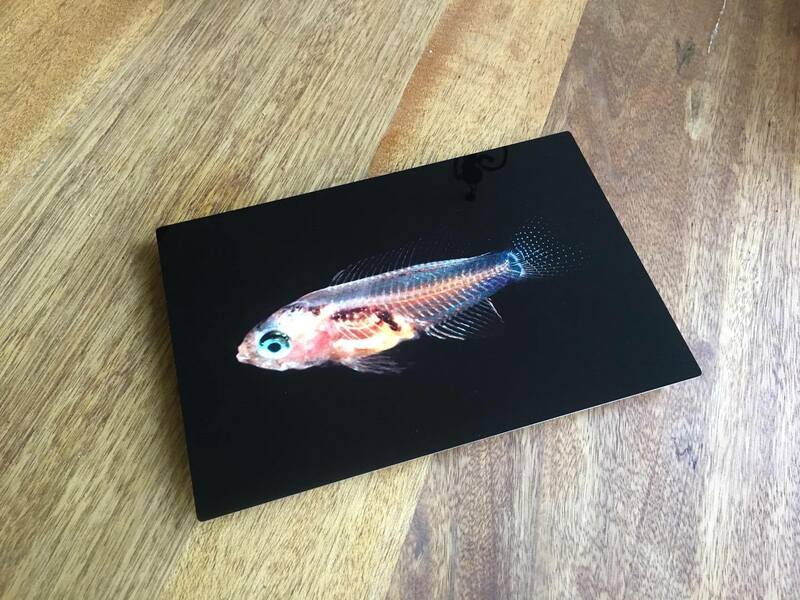 A photographic print of the larval Gramma dejongi will accompany the first purchases of this newly-bred species. Image Credits: Todd Gardner, unless otherwise noted. Just a suggestion, but when clownfish breeders find their broodstock is eating the eggs, often times one of the proposed fixes is to feed the clownfish eggs. There are several frozen fish egg feeds offered in the market; try that and let us know how it goes; from experience, it seems this does fix it for many breeders.